Share the post "IMAX Film “Volcanoes of the Deep Sea” Begins Run in Indonesia"
Twelve years after its debut, Volcanoes of the Deep Sea has attracted over 200 million viewers and is still going strong. 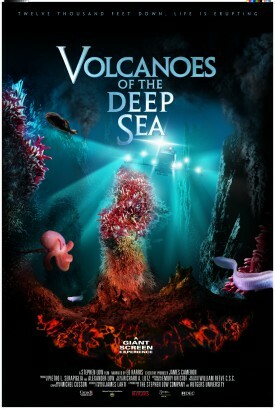 This IMAX film spotlights the intriguing world of deep-sea volcanoes found miles under the Atlantic and Pacific oceans, brought to life through the work of Richard Lutz, a professor in the Department of Marine and Coastal Sciences, and his former colleague, Peter Rona, a marine sciences professor who passed away in 2014. Volcanoes of the Deep Sea is heading to the Keong Emas IMAX Theatre in Jakarta, Indonesia, for a run of at least a year starting June 15. Read more at Rutgers Today.